By using Feedly with Backly you can create your message once and attach it to an rss feed of your choosing. Each individual link of the feed (past, present and future) will then automatically have your message attached, which you can then share directly from inside Feedly. 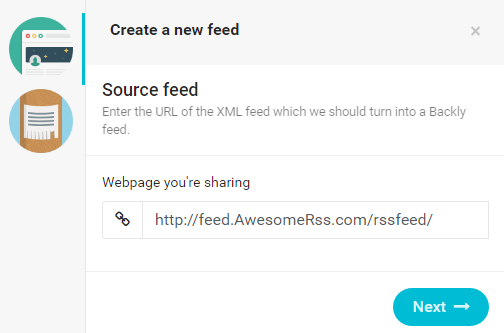 To begin, first grab a url of an rss feed with related content you’d like to share. 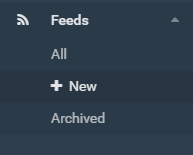 Head over to your dashboard and click the “Feeds” menu link to reveal the submenu. Click “+ New”. Paste in the url of the rss feed over to the Backly feed-url input field. Hit next and complete the remaining steps in exactly same way as you would for creating a single Backly link (not yet created a link? Click here to read how to create a Backly link). At the very end, hit save to create your very own Backly rss feed which is identical to the original in every way but now contains your own message on each individual link. Copy this link and head over to the Feedly website. 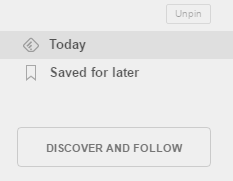 Head over to your dashboard (log in if you haven’t) and click the “Discover and follow” button. Then paste in your Backly link created from the previous step and click the source that comes up. And that’s it! You should now be able to read your original rss feed as before with all the features of Feedly available for easy reading and sharing, but now with your own Backly message on top.